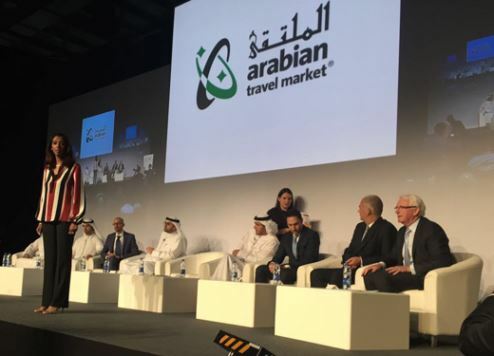 A lively debate which showcased the UAE’s future as a global tourism hub kicked off proceedings at Arabian Travel Market (ATM) today. A stellar line-up of tourism industry movers and shakers headlined the conference seminar on ATM’s Global Stage. The discussion focused on the grand vision for the UAE as one of the world’s leading destinations and how will it evolve over the next decade and beyond. Speakers included Issam Kazim, CEO, Dubai Corporation for Tourism and Commerce Marketing (DCTCM), who revealed reveal of the entity’s first ever customer satisfaction survey. He was joined on the panel by Haitham Mattar, CEO, Ras Al Khaimah Tourism Development Authority; Marwan bin Jassim Al Sarkal, CEO, Shurooq; Sultan Al Mutawa Al Dhaheri, Acting Executive Director, Tourism, Abu Dhabi Tourism & Culture Authority (TCA Abu Dhabi); Gerald Lawless, Head of Tourism, Dubai Holding and Honorary President, Jumeirah Group; Thierry Antinori, Executive Vice President and Chief Commercial Officer, Emirates Airline; and Aligi Gardenghi - VP Marketing EMEA and Commercial Director MEA, Hilton Worldwide. The session was moderated by Zeinab Badawi, Broadcast Presenter, BBC World News, who steered discussion through talking points such as unique selling points of each emirate and their tourism goals, the important role played by the UAE’s aviation infrastructure and airline industry, new mega projects in the pipeline and how Expo 2020 is set to put the UAE on the global tourism map. Visitor numbers and hotel developments across all the emirates showed signs of positive growth in 2015. Dubai welcomed 14.2 million visitors in 2015, up 7.5% on 2014, taking the destination an important step closer to achieving its target of 20 million visitors by 2020. The hotel market saw the addition of 6,000 hotel keys in 2015, increasing the total supply to 98,330 keys, according to Dubai Tourism. Now in its 23rd year, ATM 2016, which is staged at the Dubai International Convention & Exhibition Centre (DICEC) from April 25-28, will build on the success of the 2015 show, which witnessed a year-on-year increase in visitor attendance of 15% to more than 26,000 delegates. The number of exhibitors increased by 5% to 2,873 and business deals worth more than US$2.5 billion were signed over the four days.